Primary care is the day-to-day health care given by a health care provider. Typically this provider acts as the first contact and principal point of continuing care for patients within a health care system, and coordinates other specialist care that the patient may need. Patients commonly receive primary care from professionals such as a primary care physician (general practitioner or family physician), a nurse practitioner (adult-gerontology nurse practitioner, family nurse practitioner, or pediatric nurse practitioner), or a physician assistant. In some localities such a professional may be a registered nurse, a pharmacist, a clinical officer (as in parts of Africa), or a Ayurvedic or other traditional medicine professional (as in parts of Asia). Depending on the nature of the health condition, patients may then be referred for secondary or tertiary care. The primary health care strategy. Primary care involves the widest scope of health care, including all ages of patients, patients of all socioeconomic and geographic origins, patients seeking to maintain optimal health, and patients with all manner of acute and chronic physical, mental and social health issues, including multiple chronic diseases. Consequently, a primary care practitioner must possess a wide breadth of knowledge in many areas. Continuity is a key characteristic of primary care, as patients usually prefer to consult the same practitioner for routine check-ups and preventive care, health education, and every time they require an initial consultation about a new health problem. Collaboration among providers is a desirable characteristic of primary care. In the United Kingdom, patients can access primary care services through their local general practice, community pharmacy, optometrist, dental surgery and community hearing care providers. 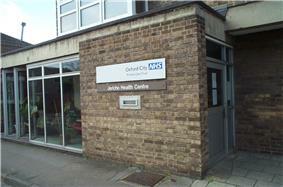 Services are generally provided free-of-charge through the National Health Service. In the UK, unlike many other countries, patients do not normally have direct access to hospital consultants and the GP controls access to secondary care. 599 GP practices closed between 2010-11 and 2014-15, while 91 opened and average practice list size increased from 6,610 to 7,171. In Canada, access to primary and other health care services are guaranteed for all citizens through the Canada Health Act. In Nigeria, health care is a concurrent responsibility of three tiers of government. Local governments focus on the delivery of primary care (e.g. through a system of dispensaries), state governments manage the various general hospitals (secondary care), while the federal government's role is mostly limited to coordinating the affairs of the Federal Medical Centres and university teaching hospitals (tertiary care). Primary health care results in better health outcomes, reduced health disparities and lower spending, including on avoidable emergency room visits and hospital care. With that being said, primary care physicians are an important component in ensuring that the healthcare system as a whole is sustainable. However, despite their importance to the health care system, the primary care position has suffered in terms of its prestige in part due to the differences in salary when compared to doctors that decide to specialize. In a 2010 national study of physician wages conducted by the UC Davis Health System found that specialists are paid as much as 52 percent more than primary care physicians, even though primary care physicians see far more patients. Primary care physicians earn $60.48 per hour; specialists on average earn $88.34. A follow up study conducted by the UC Davis Health System found that earnings over the course of the careers of primary care physicians averaged as much as $2.8 million less than the earnings of their specialist colleagues. This discrepancy in pay has potentially made primary care a less attractive choice for medical school graduates. In 2011, about 17,000 doctors graduated from American medical schools and only 7 percent of graduates chose a career in primary care. The average age of a primary care physician in the United States is 47 years old, and one quarter of all primary care physicians are nearing retirement. Fifty years ago roughly half of the physicians in America practiced primary care; today, fewer than one third of them do. ^ "WHO/Europe - Main terminology". who.int. ^ Thomas-MacLean, R; Tarlier, D; Fortin, M; Ackroyd-Stolarz, S; Stewart, M (2008). "No cookie-cutter response: conceptualizing primary health care" (PDF). ^ World Health Organization. Definition of Terms. Accessed 24 June 2011. ^ World Health Organization. .International Classification of Primary Care, Second edition (ICPC-2) Geneva. Accessed 24 June 2011. ^ World Health Organization. Ageing and life course: Our ageing world. Geneva. Accessed 24 June 2011. ^ a b Simmons J. Primary Care Needs New Innovations to Meet Growing Demands. HealthLeaders Media, May 27, 2009. ^ Royal Commission on the NHS Chapter 7. HMSO. July 1979. ^ a b "AAMC Physician Workforce Policy Recommendations" (PDF). Association of American Medical Colleges. ^ a b Finney, Karen (25 October 2010). "Wage gap between specialists, primary-care physicians". UC Newsroom. N.p. ^ Finney, Karen (18 September 2012). "NEW STUDY IDENTIFIES LARGE GAPS IN LIFETIME EARNINGS OF SPECIALIST AND PRIMARY-CARE PHYSICIANS Wage disparities could limit the success of health-care reform. N.p.". ^ "Total Number of Medical School Graduates - The Henry J. Kaiser Family Foundation". statehealthfacts.org. ^ American Academy of Family Physicians (AAFP). Advancing Primary Care”. Council on Graduate Medical Education: Twentieth Report. December 2010. ^ Sommers, B.D. (2012). "New physicians, the affordable care act, and the changing practice of medicine.". JAMA: 1697–98. ^ Furrow, B.R. (2013). Health law; Cases, materials, and problems. Upper Saddle River: West Publishing Company. ^ Bodenheimer, T.S. (2013). "Proposed Solutions to the physcian shortage without training more physicians". Health Affairs (Project Hope): 1881–1886. ^ Dill, M.J. (2012). "Survey shows consumers open to a greater role for physician assistants and nurse practitioners". Health Affairs (Project Hope): 1135–1142. ^ Bodenheimer, T.S. (2013). "Primary Care : Proposed Solutions to the physcian shortage without training more physicians". Health Affairs (Project Hope): 1881–1886.